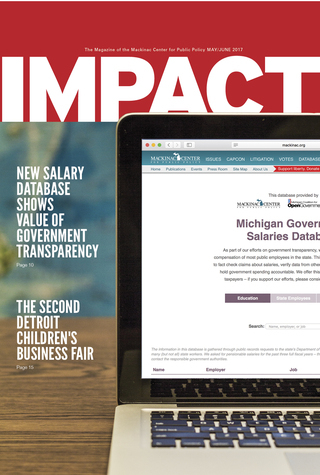 The Mackinac Center’s commitment to holding government accountable reached audiences throughout Michigan as media outlets covered its latest lawsuit and the new database it provides as a service to taxpayers. Accountable government requires transparency and effective journalism requires timely transparency. That’s why the Mackinac Center Legal Foundation filed a lawsuit against the University of Michigan in March after waiting over 100 days for a response to a simple records request. As explained by campus newspaper The Michigan Daily, the suit stemmed from a Freedom of Information Act request filed by a Michigan Capitol Confidential reporter seeking university President Mark Schlissel’s emails containing the word “Trump” between July 1 and Nov. 16, 2016. The same day the Center filed the suit — 106 days after filing the FOIA request — the university supplied four emails, but the lawsuit will continue due to the unreasonable delay. “There’s no way it could possibly take 100 days to provide four emails,” Mackinac Center Legal Foundation Director Patrick Wright told Michigan Radio. The Michigan Review and Campus Reform covered the lawsuit, as did radio stations WJR, WBCK and WILS. 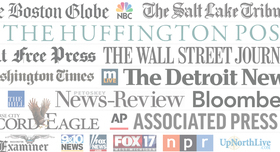 The Leelanau Enterprise, Detroit Free Press, The Detroit News, WZZM-TV and the Grand Haven Tribune also shared the importance of government transparency when they covered the release of the Michigan Government Salaries Database by the Center, the Michigan Coalition for Open Government and the Michigan Press Association. “The bottom line is that public salaries should be available in a transparent way. Why? Because the employer of public workers is us, the citizens,” Lancing State Journal columnist Judy Putnam said of the database. The online, searchable database contains salary information for approximately 300,000 public employees. “I like to get it from a source like the Mackinac Center that has a reputation for credibility, rather than from another organization without credibility. It’s more reliable,” local government watchdog Steve Mikowski told The Leelanau Enterprise. The Mackinac Center’s new occupational licensing study, “This Isn’t Working,” also received attention from media throughout the state. Gaylord Herald Times Publisher Jim Grisso was one author who wrote about the arbitrary rules, noting that Michigan barbers must go through more training and testing than commercial pilots. The Mackinac Center’s Director of Labor Policy F. Vincent Vernuccio was quoted in The New York Times about unions’ relationship with and opinion of President Donald Trump. 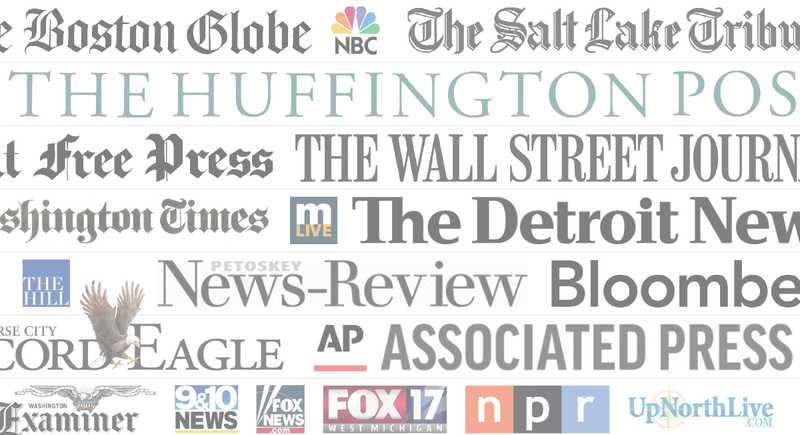 Other Center policy experts were quoted by or had op-eds published by The Associated Press, MLive, Bridge Magazine, Crain’s New York, Crain's Detroit, The Hill, CBS Detroit, the Midland Daily News, the Traverse City Record-Eagle and many others.